Roll Up! Roll Up! Wear the fun of the circus! I love how kids think nothing of wearing all their favourite pieces at once. Let’s face it, you can only really get away with pairing bold stripes to tulle and coloured sneakers when you’re a child. I can’t choose just one favourite from this stunning circus-inspired range from Australian label Heavenly Creatures so I’m prepared to go a little crazy in the wardrobe department. 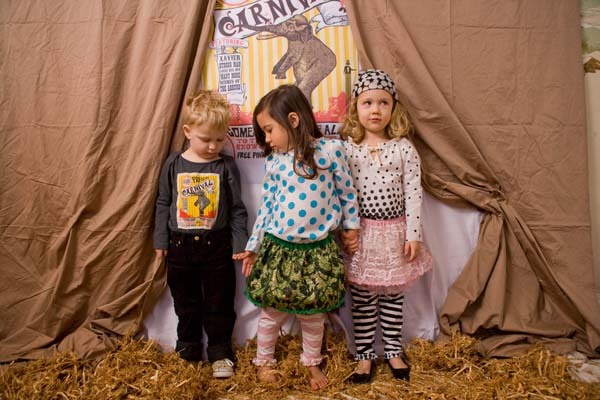 Each item in the collection has a circus-related name so you can’t help but have some fun! Bold and brash striped grandpa tops are just about perfect when teamed with fluffy soft twirl-worthy tulle skirts for girls or on their own for boys. The Denim and Tulle skirt ($51.95) has me positively weak at the knees and can be worn through the entire year. 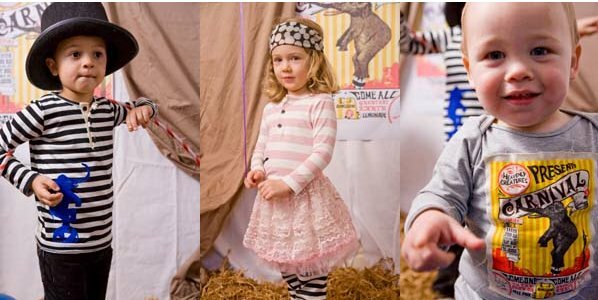 The Heavenly Creatures winter range is available in sizes one through to six from Baby’s Got Style, with delivery all over Australia.